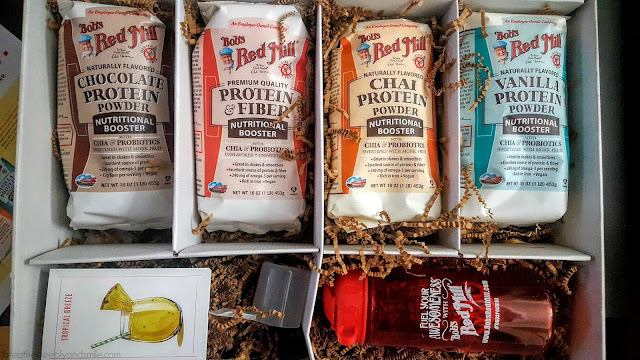 Disclosure: This post is sponsored by Bob’s Red Mill as part of a campaign through my partnership with SweatPink and Fit Approach. As always all thoughts & opinions are my own! I have talked about how the new Bob’s Red Mill Protein and Nutritional Boosters packed with 20g of protein have helped me stay #summerstrong. Well I've always been a huge coffee and tea drinker, but this summer's newest drink obsession is iced matcha green tea almondmilk or soymilk lattes. I've been getting them from a local coffee shop (shout-out to 3 Bean Coffee!) in the mornings, and it's always so creamy and delicious. 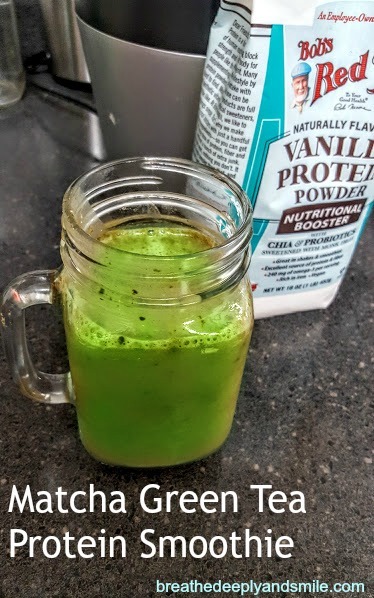 They are super refreshing after a hot run or workout plus I'm getting all that antioxidant goodness from the matcha, which is powdered green tea leaves. Unfortunately, right now I can't afford getting a $5 latte whenever I want one, aka everyday. I decided to come up with a protein smoothie version which is just as satisfying after a run and saves me some money plus gives me an extra nutritional boost! I had this package of Kiss Me Organics brand Green Tea Matcha powder that I used. 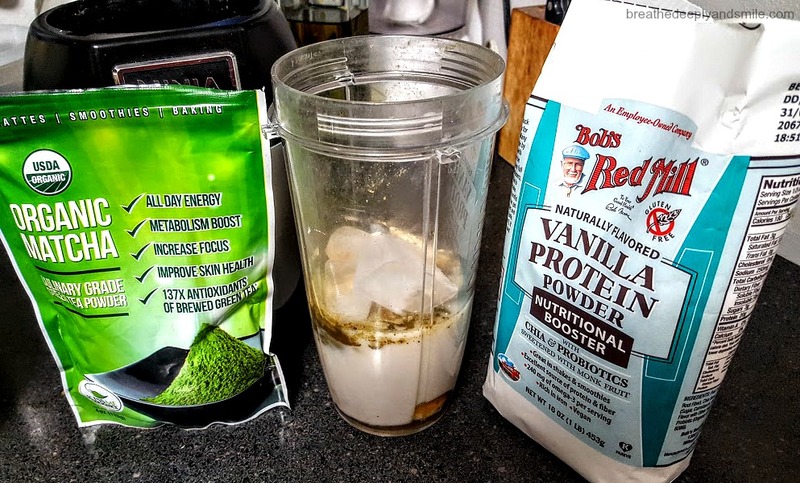 I'm loving this vanilla gluten-free Bob's Red Mill protein powder so I used that-just a heads up that it has chia seeds mixed in so it's not little ants or anything, haha. 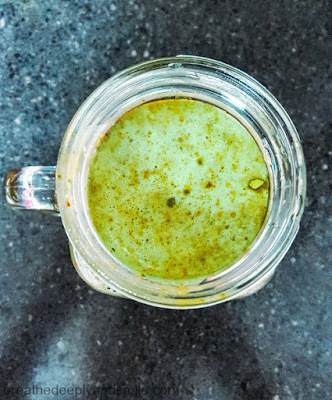 The end result of the smoothie came out a little more brown than green thanks to the banana and protein powder, but it's delicious nonetheless! Combine all ingredients together in blender. 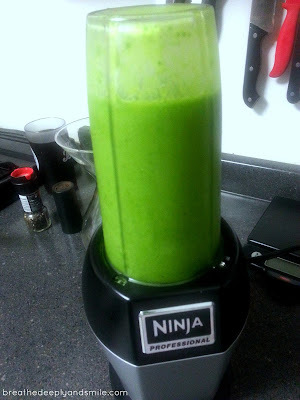 Blend until fully mixed and serve immediately. Just a reminder that if your local store carries Bob’s Red Mill products, you can get a discount on Bob’s Red Mill Nutritional Boosters with this coupon! Do you like matcha or green tea flavors? What is your favorite summer drink right now? Disclosure: This post is sponsored by UP4 Probiotics. I have used and currently use probiotics prior to this post. As always all thoughts and opinions are my own. About 6 years ago I started having major digestive issues and things got so severe that I went to see a doctor. After some blood work and tests I was diagnosed with IBS (which is kind of a catchall diagnosis) and was told to grab some probiotics and be on my way. Now I’m a little bit better at keeping things under control although I know that stress and crappy eating are huge triggers. The one thing I always make sure to take daily are my probiotics! What is a probiotic, you ask? 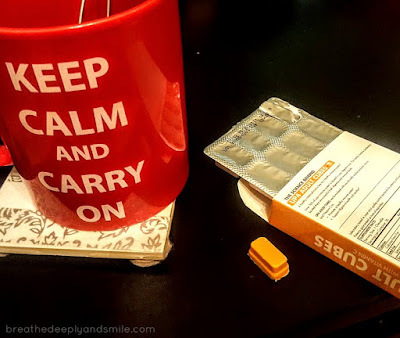 I remember trying UP4 Probiotics at Expo East this past year because they were sampling chewable cube probiotics-they were tasty! I’m not going to lie, I totally take lots of gummy vitamins. Taking a few gummies in the morning ensures that I NEVER forget to take my vitamins. UP4 makes a yummy little Adult cube chewable in a mild creamsicle-like flavor. When they reached out to me about trying some of their products including their UP4 Adult probiotic capsules and their Adult Cubes chewable probiotics. I wholeheartedly agreed. I've found that probiotics can be a little pricey plus I haven’t found a brand that I really liked yet. 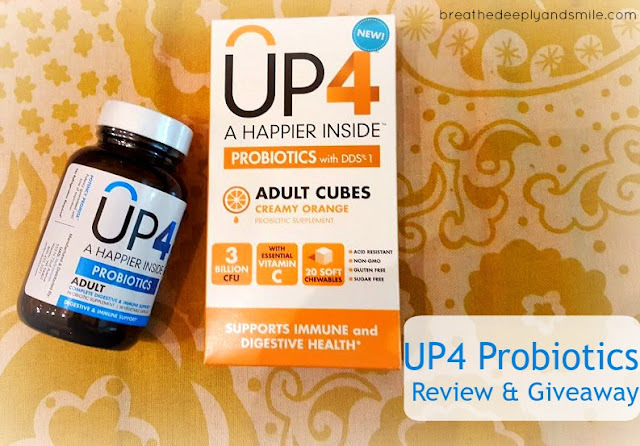 UP4 Probiotics is awesome because select products are now available in Target stores in the Probiotics, Immunity Support, and The Essentials section and on target.com. This is awesome because honestly I buy a lot of my vitamins there because I can stack coupons and my Cartwheel app to save me money. Plus let’s be honest, Target is awesome. They also have Kids Cubes probiotics in the Kids Vitamin Section but all of their products can be used for whomever, no matter their age. UAS LifeSciences has been making probiotics, and only probiotics since 1979! Way before probiotics became trendy again! The science nerd in me loves that they have over 40 years of clinical research on their trademarked superstrain, Lactobacillus acidophilus DDS®-1 and have done clinical studies on select individual strains of bacteria they use in their products as well as some of their finished formulations! The UP4 brand is a shelf stable formulation for 24 months so no need to refrigerate and their potency is guaranteed until the time of expiration. Their products feature studied robust strains including their trademarked super strain Lactobacillus acidophilus DDS®-1 which has been studied to be beneficial in people of all ages! Overall, I really liked the UP4 products. I love that there is science and research behind it plus it uses an awesome super strain rather than whatever probiotic that I'm grabbing off the shelf mostly because it's on sale. The capsules have helped keep my digestive system happy and the cubes were perfect to take along on all my recent travels when my eating was full of more treats and delicious foods that didn't always jive with my digestive system. The fact that I can pick them up at Target and don’t need to make a special trip or order them somewhere is a huge bonus! 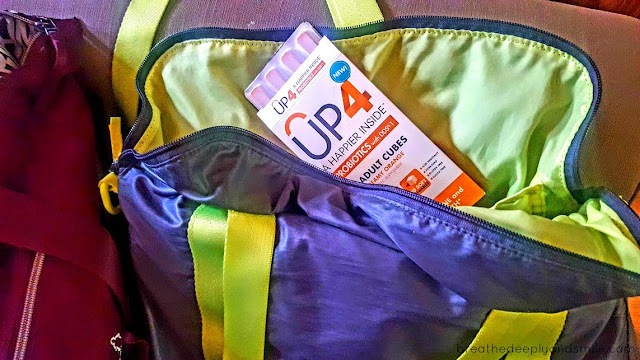 Thanks to UP4 Probiotics, one lucky reader will win a bottle of UP4 Women’s Probiotics and a box of UP4 Kids Cubes plus reusable grocery bag. This giveaway ends Monday August 8, 2016, 12 AM EST. Winner must be a U.S. resident. The winner will be notified via email right away. If I don’t hear back from the winner within 24 hours I’ll have to pick a new winner. Delivery of the prize is by UP4 Probiotics. This post was linked up with my fave Friday Linkup ladies Courtney, Mar, and Cynthia as well as Nicole and Amanda. Check out Erica and Smitha's giveaway round-ups for more prizes to win! 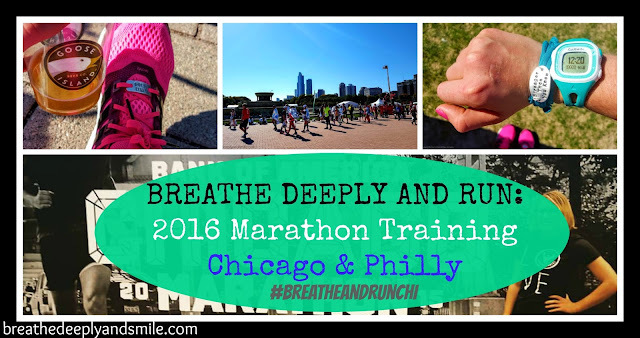 It's time for another recap of how marathon training has been going. I've been travelling a ton so my schedule has been kind of all over the place with lots of resting/travel days thrown in. I still can't believe I'm already weeks into training and got my corral assignment for the Chicago Marathon this week. I'm in C again like last year. Corral C party anyone? That definitely gives me a twinge of anxiety knowing that race day is approaching quicker than I think! Sunday: 15.0 miles for long run split into morning and afternoon runs. Made the afternoon run route so that I stopped at Blackbird donuts because #motivation. Travelling for a volunteer weekend in Boston and then #NP_Summit threw off my schedule a little bit, but I think things went fine despite having to be flexible and taking some more rest. I try not to stress and just fit in most of my workouts if I can when travelling. I didn't fit in all 13 miles on Saturday for Week 4 but that hilly 10K makes up for it in my mind! Definitely need to foam roll more and drink more water for real. Getting to run with Sarah and go to November Project Boston twice and then getting to go to NP Summit were amazing. I'll recap NP Summit sometime soon when I figure out something to say besides OMGITWASAWESOME. It was really great getting to run in different places, challenge myself with some workouts, and hang out/workout with different people these past couple of weeks. 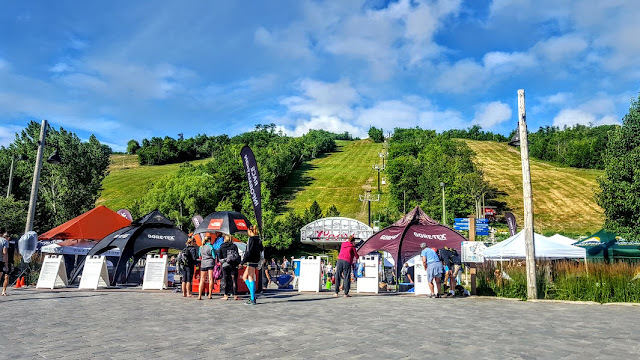 Blue Mountain Ski Resort in Ontario. Yup we ran up that hill. How do you deal with training when you are travelling? Disclosure: This discussion is sponsored by CorePower yoga. I did not receive monetary compensation for this post. As always all thoughts and opinions are my own. 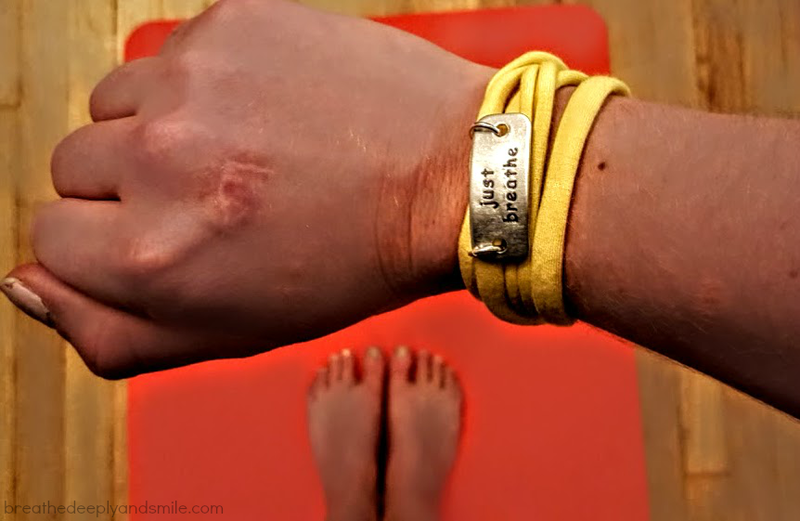 On this blog I have mentioned multiple times how I'm always trying to stick to a regular yoga routine. I had done a really good job in the winter and early spring with attending a class at least once a week, whether that was a gentle vinyasa flow or a more intense Yoga Sculpt class at my local CorePower studio. Of course, when the end of the semester got busy, it fell by the wayside. 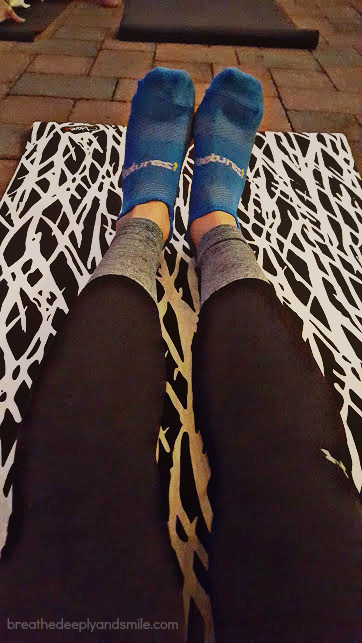 Now that marathon training season is underway, I'm making it a priority to incorporate yoga regularly into my weeks. Even if I don't make an actual class, I want to do some yoga poses on my own or squeeze in a 15-20 minute video. I love yoga as a runner because it stretches my entire body out, especially my hips and back which get really tight. It is great to get everything loosened up, especially because after a run I am usually spending the rest of the day sitting and standing at work or school. I also really enjoy yoga as a form of meditation and for the mental aspect. It's nice to be able to spend an hour focusing on an intention that you set. It is a way to calm the mind or maybe work through an issue you were having. Challenging yourself mentally or finding ways to calm down are important in running, especially in marathon training and long distance running which are very much mental challenges in addition to physical challenges. Sometimes I am having a tough day and really the only 5 minutes of true relaxation I get is the savasana. 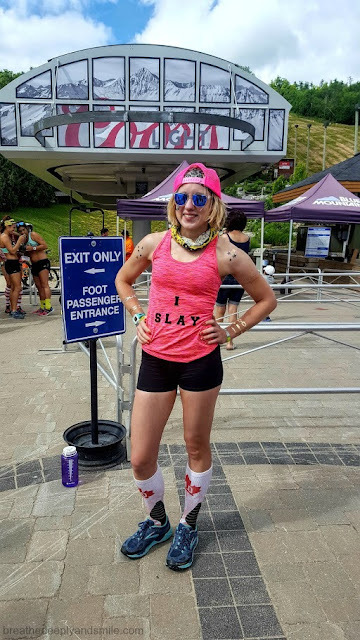 I was lucky enough to get some questions I had about yoga and running answered by Ciara, the studio manager of my local CorePower Yoga studio in Baltimore. You can check out and see if there is a CorePower Yoga studio near you. 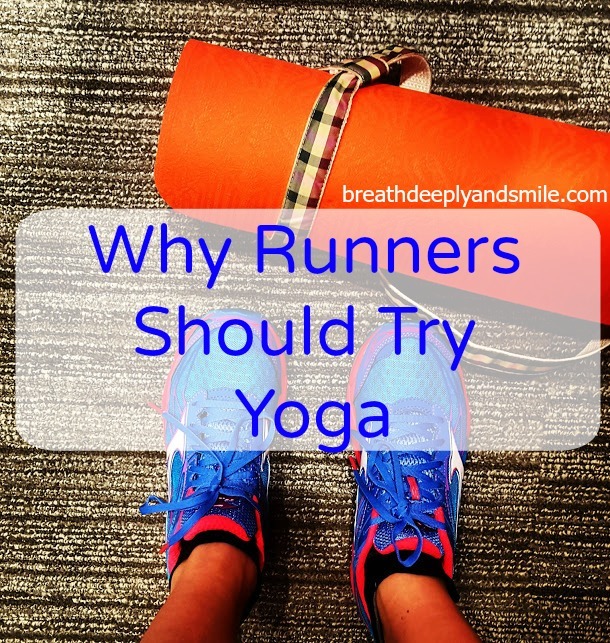 I hope it opens your eyes to how beneficial yoga can be for your running! 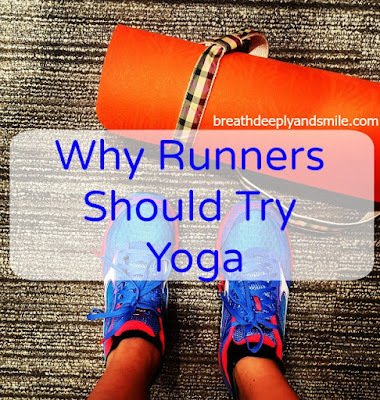 What are some of the benefits of yoga for runners? Yoga has many physical and mental benefits for runners. Physically, yoga releases tension in muscles and builds strength and flexibility. This can help reduce the risk of common running injuries, including: shin splints, tight hips, low back pain, etc. CorePower Yoga classes, specifically, are physically intense and focus on building core strength, which will help strengthen other areas of the body. Mentally, yoga can help runners reduce stress, increase focus on breath and introduce a full mind-body awareness. What is something I can do if I don't have a lot of time in my training plan? There are many things a runner can incorporate into their daily routine from yoga that take minimal time, yet are extremely beneficial. Something I highly recommend everyone add in to their routine is a full body stretch as soon as you wake up. Allowing your body a few moments to fully wake up and rejuvenate after being asleep goes a long way. And, it feels really good! I also suggest everyone add a Sun Salutation to their morning routine. The focus of a Sun Salutation is to energize the front and back lines of the body. Additionally, it encourages your muscles to contract, including your core, in a controlled and fluid environment, which is a great warm-up for runners. How can yoga strengthen me mentally? One of the best things to hear from a student is that yoga has helped them off of their mat. We often start a yoga practice for the physical benefits and are truly surprised by the mental benefits its brings as well. The ability to find focus on your mat, while a million things are happening around you, is one of the most valuable mental benefits a runner can gain from practicing yoga. This mental strength translates to running by providing the ability to absolutely let go of all the outside thoughts happening while you run – like the doubt you feel as you approach mile five or the list of things you have to do for work – and just focus on your breath, moving and hearing the sound of that movement. I would also highly recommend meditation to runners. Start off small: devote five minutes of your day trying to find silence (inside and out) and then let it expand from there. Truly being present while you're on your mat is just like being present when you run, you can feel everything around you buzzing but you're in complete control of that energy? I love my Momentum wrap bracelet. 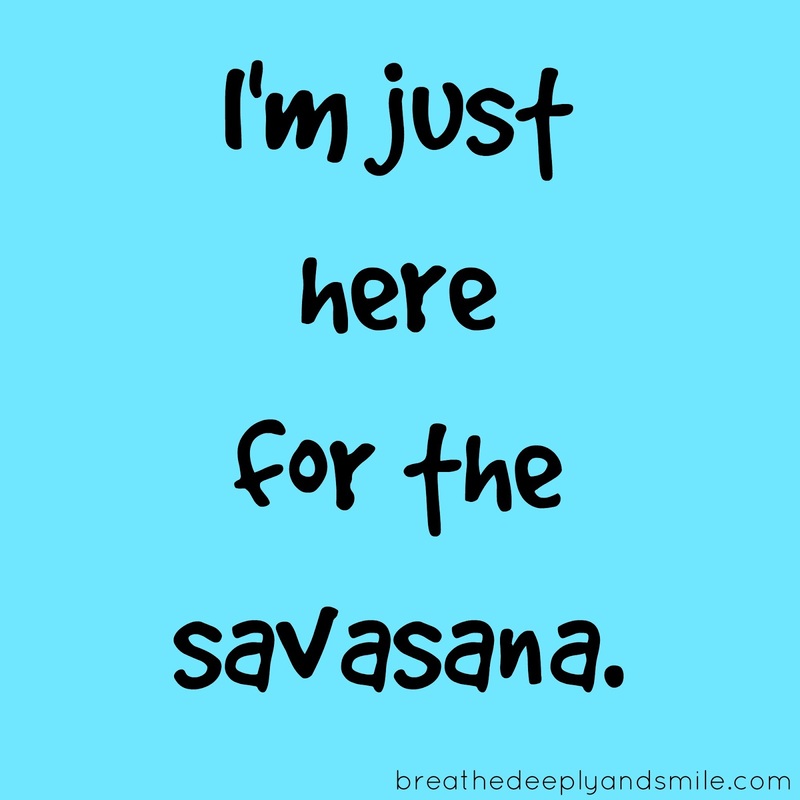 What is one of your favorite yoga poses for runners? Reclined Cow Face pose (or Supine Half pigeon if you have any knee pain!) 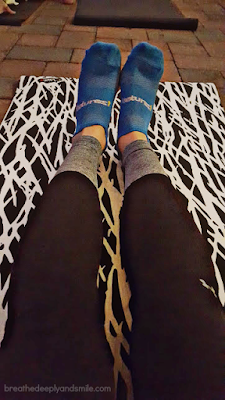 is one of my favorite stretches for runners. Not only does it feel amazing but it improves range of motion in the hips and loosens tight glute muscles and hamstrings. Just be sure to keep your feet flexed in order to protect your knees and keep your tailbone down. This will ensure you get the full benefits of the pose! Do you practice yoga? 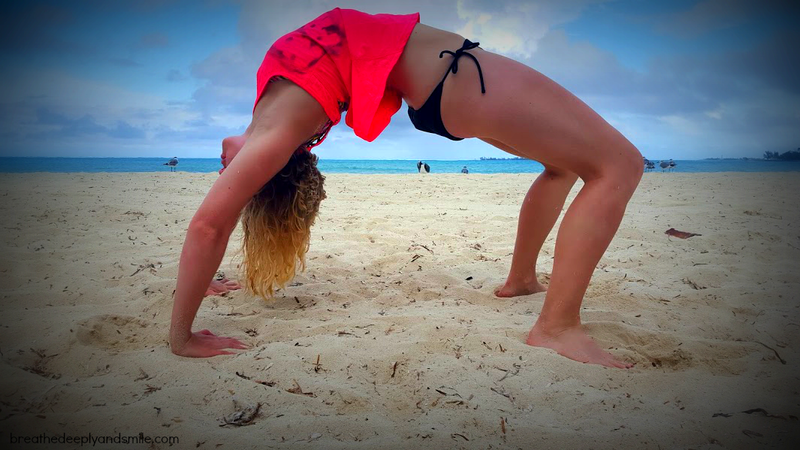 Do you find yoga helps with other sports, routines, or overall fitness? Well folks, it is that time again. Things have been a little crazy. I consulted a couple coaches about my plan and am pretty much following the plan I created last year with some tweaks such as more speed work, more easy miles, and actually sticking with adding some pace miles or fast finishes to my long runs. If you are looking for a run coach or some advice, check out Coach Suz or Amanda from Run to the Finish ! It's taking me some time to get into the groove with marathon training because I usually don't follow training plans or a strict workout schedule year round. I mostly do what I feel like, go to November Project, and attend fitness classes when they pop up as well as get in a longer run sometime during the weekend. 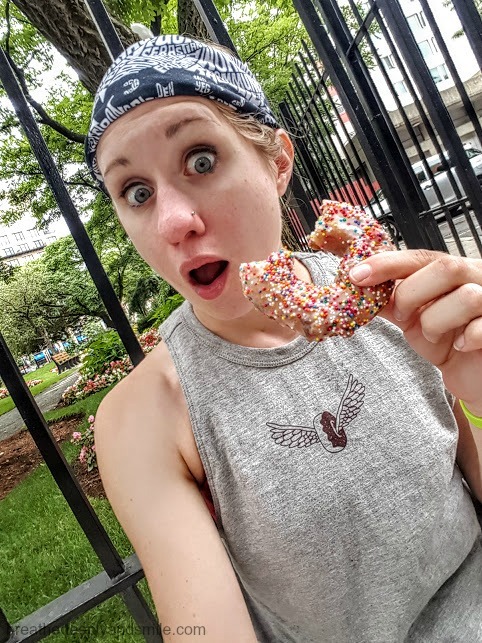 I had a really solid first two weeks of workouts and am trying a different kind of training recap this time around. I kind of love and hate weekly workout recaps. I like reading other peoples and seeing what they do because it's interesting. However most times I feel like it just becomes a comparison trap for people (myself included). Since I'm insanely busy (do I say that enough on the blog? 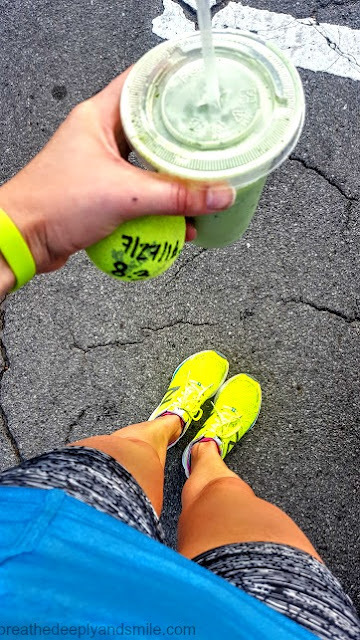 ), and it will get tough to stick to my schedule once fall classes start again, I figured recapping my workouts on the blog adds another layer of accountability for me. So I'll share my workout overviews from the weeks as well as a high and low (that part is from the future occupational therapist in me). So here we go! I had lots of speedwork coincidentally these weeks with the BWC 5K, speed workout Tuesday, NP PR Day, and THEN the NP Sunrise 6K. I was pretty proud of holding it together but definitely know I can't do that all the time. I'm definitely not going to be up around 40 miles for the next couple of weeks again. I also REALLY need to dust off my foam roller and be sure to spend time recovering better. Despite feeling a little sore and tight naturally, I was really happy with how I felt having more weekly miles than usual at the start of training. I've been hovering around 20-25 weekly miles during the spring so bumping it up and making sure I including some easy miles felt good. I also got in a lot of faster runs and was hitting the pace I wanted on my tempo run which always makes me feel great. Are you training for any fall events? Do you like reading or sharing weekly workout recaps? Disclaimer: This is a sponsored post on behalf of Relay Foods. As always all thoughts & opinions are my own. Happy Monday-hope you had a great weekend like I did! Like I mentioned a few months ago, I started using Relay Foods when things get really busy (when aren't they for me?) to help making cooking and my attempts at meal-prepping easier. You can read more about it here, but if you haven't heard about it, Relay Foods is an online grocery store-they are allowing you to shop at your convenience from their stock of over 200 local farmers and vendors. Most of their foods are organic, local, or all-natural and allow you to just fill up a virtual shopping cart online and either pick-up your groceries for free at their set pick-up spots or have them delivered right to your door for a small fee. Relay Foods also has some new things going on including a new Doorstep program where you get unlimited deliveries for the month for only $19/month with no contract and the ability to cancel at any time. Their website includes a fun meal-planning section which includes great recipes for all occasions. The best part is you can order all of the ingredients for each recipe through the website with the click of your mouse. I ordered these portabella mushroom caps for $4 immediately once I found this delicious-looking Marinated Mushroom Salad recipe. 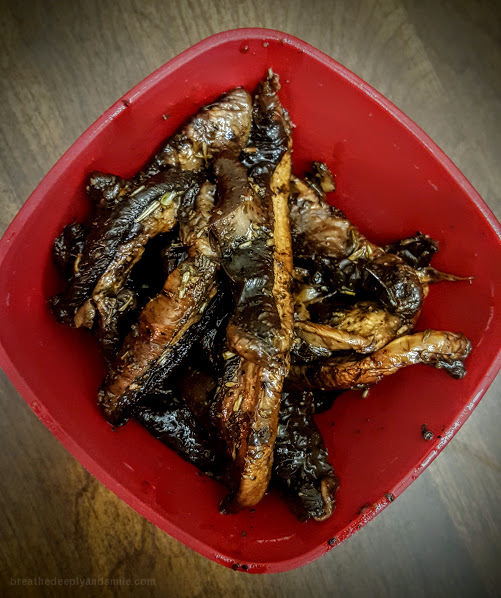 You simply marinade the portabella mushrooms in a mix of balsamic vinegar, honey, olive oil, soy sauce, and dried Italian herbs and then cook. It was a great side dish to some delicious chicken thighs for dinner. I loved the strong balsamic flavor of the salad. It gets a thumbs up from me! One of my FAVORITE meal prep options I purchased in my last Relay Foods order was the "Five Day Dinner Pack for Two". For $35 I get all 5 days of protein options for my boyfriend and I so all I need to worry about besides cooking these is making some sides. The pack included frozen 1 lb. of boneless skinless chicken breast, 1 lb. 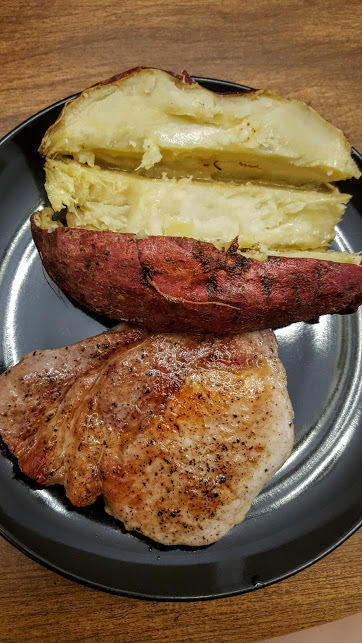 of boneless skinless chicken thighs, 1.6 lb Wolf Creek grassfed london broil as well as fresh 2 boneless pork chops and San Miniato sausage. All of the meats were really high quality and tasty! I paired the pork chops from the dinner pack with a big organic Muraski white sweet potato from my order for a simple dinner one night. Something I planning on grabbing in my next order is their new Local Bounty Share which is a collection of local produce (aka from Maryland, Virginia, and North Carolina). It's like a CSA except requires no commitment AND you get to preview what you are getting in your share ahead of time. It comes in half or full sizes so you can pick what works for you! you can get $20 off your first order with my Relay Foods link! What's your favorite side dish suggestion right now?